Chris Jones (CJ): PageOne is now the only wide-area paging operator in the UK, after Vodafone closed its network in the middle of last year. PageOne has been very successful in migrating customers from the Vodafone network on to the PageOne network. The exercise itself underlined the need these customers had to continue using wide-area paging. All of those Vodafone customers were using simple, receiving only, one-way paging. As part of that migration process, a high number of those customers opted for two-way pagers instead of one-way – and in particular, PageOne’s Triple Resilience paging. Although there’s an increased cost, there’s also an increased benefit that comes with that. This migration exercise showed that significant customers still want to use wide-area paging, simply because it has the unique characteristic of being able to broadcast a single message to a practically unlimited number of people at once. When you start looking at cell-based technologies like GSM, and how they become limiting when you want to send a message to lots of people very quickly, you can see why. 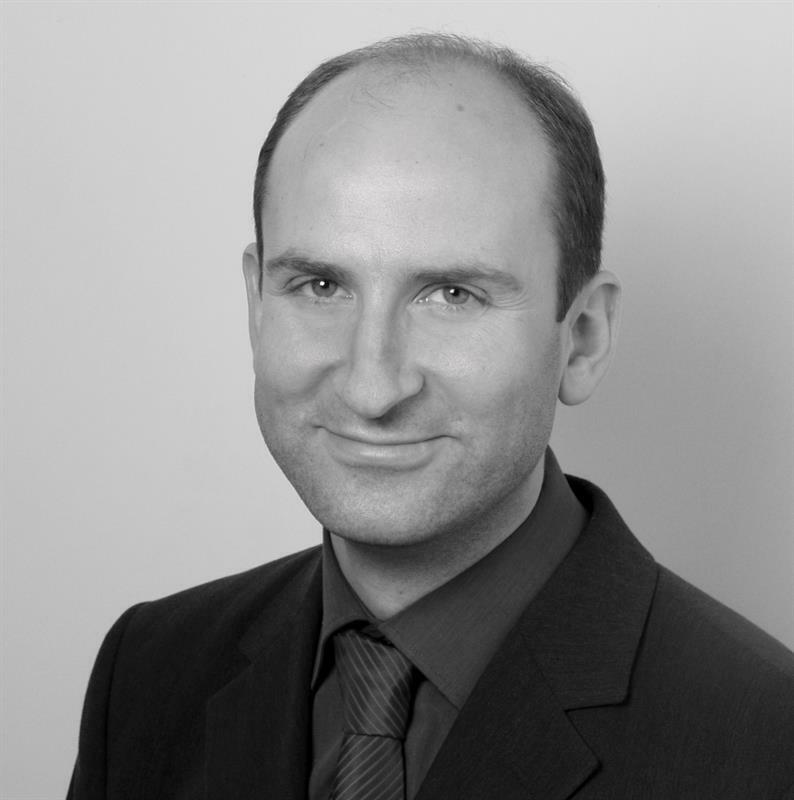 Richard Lambley (RL): What kind of people are using paging today? CJ: Predominantly, it is anybody that sees operational or critical messaging as important to them. The NHS, emergency services, oil, gas and nuclear industries still use wide-area paging. Where you come across the need to send messages to lots of people very quickly, paging comes into its own. You have to carry the pagers, but if it is mission-critical, people will carry them. RL: How long has PageOne been into two-way paging? CJ: We launched two-way paging back in 2009, as Swissphone innovated the RES.Q pager featuring a GSM back channel. We tried to solve what we saw as a problem with one-way POCSAG paging, in that the sender of that message doesn’t know whether the message has got there or not. Closing this loop with acknowledgement and reply messaging via GSM was something that we thought quite important. So first we tried to sell that extra feature in terms of confirming delivery. But we didn’t get the traction that we were hoping for, because of how much the extra two-way paging cost versus the benefit of it. Most customers were quite happy with one-way paging because it was reliable, and the coverage was good. So we didn’t quite make the business case. Then, we launched the ability to switch the pager into GSM mode if there was no paging coverage. But we still could not make the business case work. What we found was people were interested in getting messages to the pager in the most resilient way possible. That was the key catalyst that we saw two or three years ago. And that’s how we have been able now to promote Triple Resilience paging. It’s what we offered the migrating Vodafone customers, who then took large quantities of these devices because the business case was so compelling. Users migrating from the defunct Vodafone network have recently driven a sharp upturn in ‘Triple Resilience’ paging with PageOne. The two-way pagers can also provide efficiency-boosting features such as status updates, location reporting, emergency alarms, lone worker protection, low battery warnings and an audit trail of messages and delivery receipts. RL: Can you explain what you mean by Triple Resilience? CJ: The pager listens to our national wide-area paging network, and it also listens to a dedicated on-site paging network using a separate PageOne frequency. At the same time, the pager is always connected via GPRS to the PageOne system using a keep alive handshake. So when we send a paging message, we send it simultaneously over all three networks – wide-area paging, on-site paging and GPRS/GSM. And while the pager receives that message almost instantaneously, three times, it only bleeps and displays the message once! Triple resilience means making sure that the message gets there in a robust, resilient way, and very quickly. This is what customers see as a real benefit. The business case of cost verses benefit was now made. RL: The kind of pager you are talking about – it sounds as though it could be heavy on batteries, and also expensive to use with the GPRS/GSM channel. CJ: That’s an interesting point, because we are using an M2M mobile sim, which means just a very small bit of data, so it’s probably the cheapest sim you can buy. And although there is a cellular module in the pager, but there is only one paging receiver – which is actually scanning the two network frequencies. What we are trying to do is to make the GPRS/GSM channel as cheap as possible and to allow the battery life to last longer. Although the Triple Resilience pagers that we are selling at the moment are very good on battery life, they are not as good as a one-way pagers – though I would say they are certainly much better than the smart phone I’ve got! But I think there’s still more to be done and that’s what Swissphone’s new RES.Q LTE pager can address. Without a doubt, the evolution with upcoming LTE IoT technologies that the mobile operators are employing with LTE-M (LTE Cat M1) / NB-IoT (LTE Cat NB1) is just fantastic! 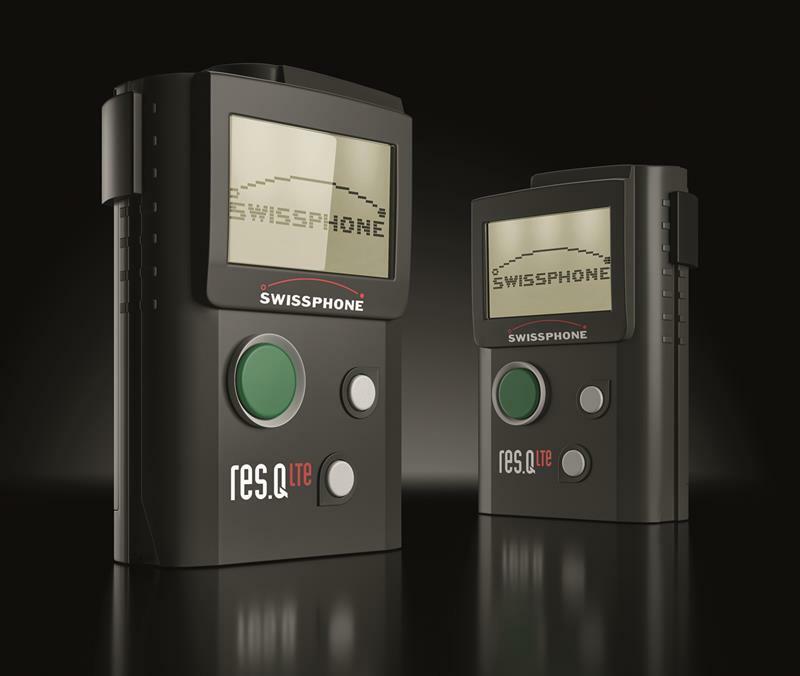 The new pager from Swissphone will have its world debut at PMRExpo. The two-way pager is now equipped with an IoT mobile radio module based on the LTE standard and GPRS fall-back. Thanks to NB-IoT and LTE-M, organisations benefit from a robust, reliable and secure alerting and feedback channel with significantly improved battery life at a lower cost. RL: What are the benefits that the users will see with LTE-M / NB-IoT? CJ: Users will be seeing improved battery life, extended indoor coverage and new possibilities that other IoT technologies were purporting to deliver two or three years ago without really the infrastructure to do it. Also, operating costs should be coming down! As the cellular world is pushing back on competing unlicensed IoT technologies such as LoRa or Sigfox with LTE-M and NB-IoT, the prices will become significantly more competitive for very small amounts of data. So, I expect that would help drive down costs of mobile access. Once you’ve made the business case for Triple Resilience paging, there are other things you can do thanks to the back channel. So having an emergency button to press in case of emergency; and being able to know where a person’s location is with GPS is also an advantage. We also have customers who use the pagers to book on and book off. The back channel can enable a lot of efficiency gains for customers. RL: Where do you want to go next with your Triple Resilient approach? CJ: After the successful Vodafone customer migration, we are seeing opportunities for triple-resilience paging to deliver real benefits into the NHS, where they are currently using one-way onsite pagers. If you take a hospital today which uses an on-site paging system – if that system fails, then they’ve got to call somebody out to fix it. They might have a spare system which they can switch in at an extra cost, and make sure it works; but what you’ve got is dead time. Our triple-resilience approach offers inherent resilience without additional infrastructure eliminating downtime and furthermore pagers can seamlessly operate whether on or off site. And that’s a real, real benefit to those customers and end users. Why and for what purposes was the Sigfox standard developed? The Sigfox standard was developed with simple IoT applications in mind, i.e. for multiple distributed sensors that sporadically return very small data. The protocol scope is very limited with a maximum of 12 bytes of user data per message (for comparison: 100 bytes and more are the rule with POCSAG). Because the protocol is asymmetrical - sensors only deliver data in one direction, an application such as hybrid alarming is virtually impossible. This means that targeted “hybrid alerting” cannot be realised with this protocol. Furthermore, Sigfox data is centrally hosted in France by a private provider, which is undesirable from the point of view of the blue light services which may be handling sensitive and personal data. Beyond that, this results in additional costs. For thee reasons, at least from Swissphone’s point of view, Sigfox is not a practical standard for hybrid alerting. Like Sigfox, LoRaWAN has been optimised primarily for static sensor applications. LoRaWAN uses different device classes. What does that mean in practice? In the simplest and most energy-saving case, sensors are operated in device class A. However, the data exchange is always started only by the terminal device. The transmission is uncoordinated, the risk of collision is high. If terminal devices are to be addressed within a useful period of time from the network, device class B or C must be selected instead, which greatly increases power consumption and, depending on the network, may not be supported at all. Simultaneous addressing many terminal devices is not possible or only to a very limited extent. Since the protocol was primarily designed for static applications, there are also no efficient functional mechanisms for robust and reliable data transmission from mobile or portable terminals such as pagers. Both Sigfox and LoRaWan are deployed on licence-free frequencies. What effect does this have on critical messaging? It’s true, both network technologies operate within the unlicenced ISM frequency band at 868 MHz. Parameters like bandwidth, signal power and especially the transmission time are strictly limited by regulations. Radio applications use these limited resources in an uncoordinated manner. The functionality and reliability of the network can therefore be affected by uncontrollable interference factors. As licence-free technologies become more widespread, the problem will become even more severe. If the return channel is operated via a “public” IoT network, the number of third-party devices in the network is unknown. High network loads cause disruptions and delays because communication at LoRaWAN and Sigfox cannot be sufficiently coordinated. Power consumption and unreliability increase as a result – and these weaknesses are unacceptable for rescue services. “LTE Quality of Service”. Can you discuss this in more detail? One important QoS feature of LTE is the usage of protected and licenced frequencies. Besides, LTE-based protocols offer a higher transmission security and many implied services like acknowledgement of every data message -- which might be possible with Sigfox and LoRaWAN, but not on the same level. In addition, the security features of the LTE-based standards are more advanced compared to LoRaWAN and Sigfox. One reason is the usage of the SIM card to establish a connection. These features make LTE-M and NB-IoT the technology of choice for future two-way paging applications. Targeted and efficient alerting is the key to effective event management. The s.ONE resource management solution meets this requirement, enabling dispatchers, station managers and first responders to improve the efficiency before, during and after an alert. These tasks are performed by the s.ONE modules Availability, Monitor and Alert. To these, Swissphone has now added a fourth module, s.ONE Fleet. This module enables remote programming of classic POCSAG pagers as well as two-way capable terminals such as the RES.Q. The infrastructure required for this is extremely lean: a remote configuration client can be installed wherever Internet access is available, at base or in the field using a data stick. With s.ONE Fleet in a station, emergency personnel who need to update their pagers can now do so in less than a minute: An IP-capable programming station is connected to a PC in the station. In practice, this means that when adjustments must be made to the alarm structure, any necessary changes can be made extremely quickly and efficiently. The pagers do not have to be collected, as every emergency response team member visits the station from time to time -- enabling even larger reconfigurations to be implemented more easily. In addition, the firmware of the device can also be updated automatically during remote programming. Previously, this was possible only at a central location. Users can thus benefit both from the new functions in the firmware and from continuing improvement of existing functionalities. Remote programming can also simplify the planning and development of new projects. 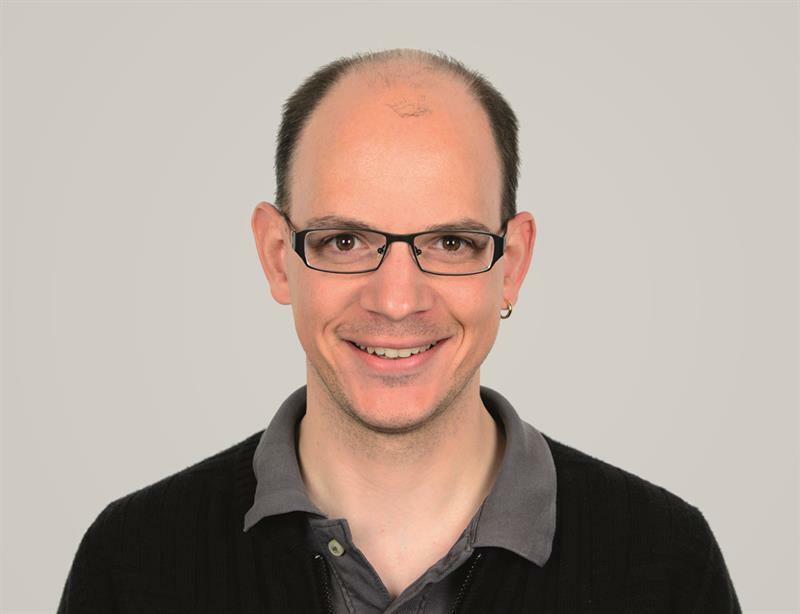 “Initial testing with pagers can be carried out at an early stage without the need to commit to a firm alerting and triggering order”, explains Manfred Piontek, managing director of Swissphone Telecommunications GmbH, Germany. “Full programming can be carried out later with little effort.” This extra freedom enables in-house radio coverage testing to begin early in the project. Once the definitive RIC allocation has been determined, a new programming file can be placed on the server. “The next time the first responder arrives at the fire station, the update will be done in just one to two minutes. This is a great advantage. Programming data can be modified over the course of time, as necessary. Time pressure is reduced and the burden of agreeing at the start on an error-free, ideal configuration for several thousand wireless devices is eliminated,” adds Piontek. Confidential data such as encryption keys can be managed by the central office, while rights and roles associated with secondary data can be delegated. At ZRF Saar, we found that the decentralised pager programming desired by our clients re-presented a challenge in terms of ensuring both data protection, and reliable alerting. Since no appropriate solution was available ready-made, we had to centralise our RIC planning, pager programming and administration of the alert data. This meant that any pager needing to be configured had to be brought to the control room – including new or repaired pagers requiring to be set up, and even those to be programmed with a simple RIC adjustment. To remedy this, we decided to use s.ONE Fleet for remote programming. Not only does this provide our clients with more autonomy, it also guarantees compliance with legal obligations, such as those concerning data protection. With s.ONE Fleet, volunteers responsible for our region’s pager management can configure and program pagers according to their authorisation level, at any time and from their current location. This helps us and our clients to avoid mistakes and it reduces the workload of the volunteers of our internal clients. Furthermore, s.ONE Fleet helps us to ensure, with minimum effort, that all devices are equipped with the latest firmware throughout their entire lifecycle. Meanwhile, sensitive data such as key files and the RICs of third-party organisations remain protected from unauthorised access at all times.